Both men and women can experience hair thinning with age and this may run in families. Men typically thin in the bitemporal region(either side of the head above the temples) and the crown (top of the head). These areas sometimes join to leave a horseshoe area of hair just around the sides of the head. 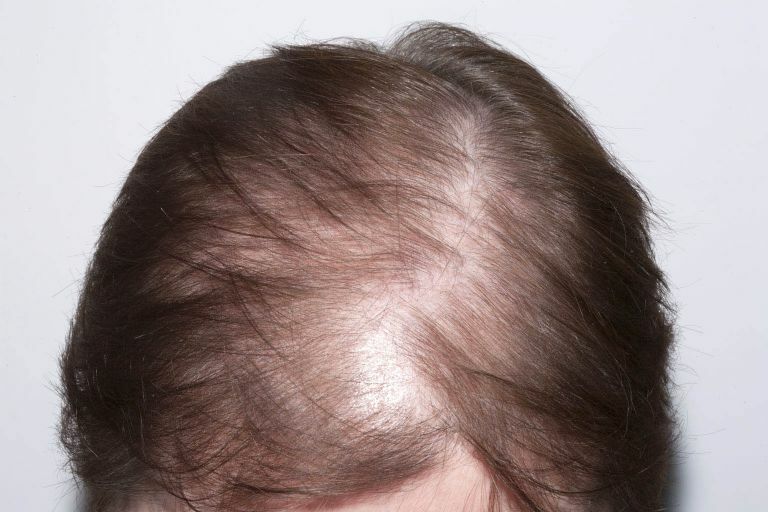 Women often thin over the top of the head, known as the vertex, but this does not normally affect hair at the front of the head and it is unusual for them to become completely bald. Patient information leaflets on patterned hair loss.